14 Things ALL Siblings With A Huge Age Difference Will Get! No, just because you and your sibling have a huge age gap between you guys doesn't mean you skipped over all the physical fights and having a live-in best friend! You had all of that and SO much more. Here are a few things only you guys will get! 1. Your elder sibling remembers every little thing you did when you were tiny, so it feels like you remember all of your childhood very vividly. 2. You remember each and every embarrassing childhood memory of your younger sibling so you can always hold them over their heads as blackmail! 3. The generation gap between you guys is just too much sometimes. One of you remembers playing Snakes on the phone and the other one grew up playing Angry Birds! 4. On occasion your elder sibling is actually more like a parent to you than your actual parents. You even sometimes have to beg your parents NOT to tell your sibling about something! 5. All the advice your older sibling gives you - it isn't just them trying to seem wise. It's tried and tested. You know, since they've got WAY more real life experience. 6. Also, if you're the younger one, when you were growing up you were always the cool kid who knew way more about music and movies than your friends. 7. And now, in turn, older siblings always know about the latest fashion trends and coolest new singer on the block because of the younger ones! 8. Your relationship has often served as a confusing topic for most new people you meet. Is she your aunt? No. Is she your daughter? NO. 9. One of you is WAY better at manoeuvring their way around new technology. You know who you are! 10. Hand-me-downs were rare, but legendary. Hey, if a leather jacket lasts 6 years in shoddy storage conditions, we'll jump at the chance to claim it! It's vintage, okay. 11. If you're the older sibling, you've grown to have an insane amount of patience. You know you'll be a great parent because you feel like you've already raised a child! And quite well, too. 12. You both have never run in the same circles, so you can always give a completely unbiased opinion when your sibling comes to you with troubles regarding friends. 13. There are times when the younger sibling feels like they really need to buck up in life - only in comparison with the accomplishments of the older sibling. 14. But thankfully, you have each other. So when you share your insecurities, your sibling knows exactly what to say to comfort and encourage you! GIFs: Tumblr HAVE A STORY IDEA FOR POPxo? If you want to hear about it, we can write about it! Just tell us your idea here! MUST-READ: Dear Sister, THIS Is Why You’ll Always Be My Best Friend! 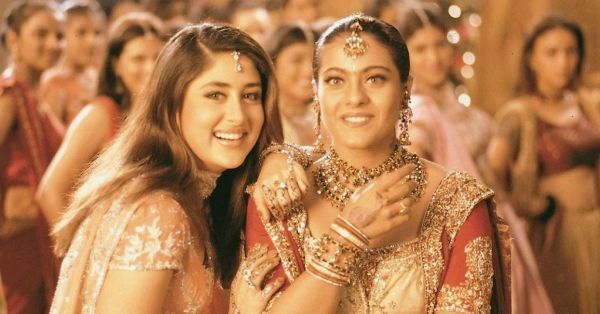 MUST-READ: “Didi, Pleeease!” 13 Things EVERY Older Sister Will Get!